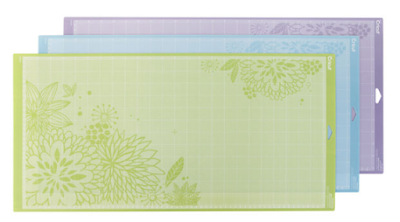 The Non-Crafty Crafter: CRICUT: Save $$$ on Cricut mats! Need Cricut cutting mats? Are you a Cricut Access subscriber? Then I have a deal for you! This deal is EXCLUSIVE to Cricut Access subscribers. Use this link >>> http://shrsl.com/?i92s to purchase your mats and you will automatically receive 25% off your order. That's 25% off the lowest marked price. So if they go on sale you'll still get the 25% off. BUT WAIT.... there's more! Use my discount code NARELLE and you'll also get free USA/Canada shipping AND another 15% off. And you also get your Cricut Access 10% discount too! If you're a Cricut Circle member that discount applies too! This deal should expire on 6/6/17. Does not apply to bulk mat purchases.